A committed communist and a tireless con man, Lenin's friend and the Soviet Union's most persuasive myth-maker, Willy Munzenberg changed the course of European history. 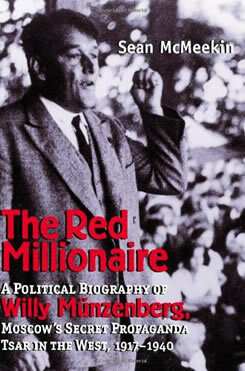 Willy Munzenberg - an Old Bolshevik who was also a self-promoting tycoon - became one of the most influential communist operatives in Europe between the World Wars. He created a variety of front groups that recruited well-known political and cultural figures to work on behalf of the Soviet Union and its causes, and he ran an international media empire that churned out enormous amounts of propaganda and raised money for Communist concerns. Sean McMeekin tells Munzenberg's story, arguing that his financial chicanery and cynical propaganda efforts weakened the non-communist left, enraged the right and helped feed a cycle that culminated in Nazism. Drawing extensively on recently opened Moscow archives, McMeekin describes how Munzenberg parlayed his friendship with Lenin into a personal fortune and how Munzenberg's mysterious financial manipulations outraged social democrats and lent rhetorical ammunition to the Nazis. His book sheds light on comintern finances, propaganda strategy, the use of front organizations to infiltrate non-communist circles and the breakdown of democracy in the Weimar republic. "An impressive piece of work, clearly the most detailed and thorough account of the life and machinations of an important Communist functionary "
"[A] major contribution to our understanding of what the Soviet Union under Stalin was all about." "McMeekin has produced a narrative that should endure as the definitive account. 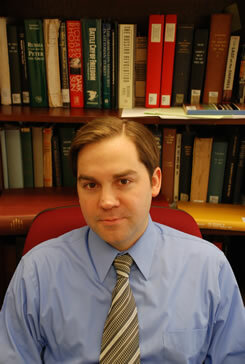 His style is more literary than academic, a plus when dealing with so flamboyant and bizarre a protagonist. . . . The details assembled by Mr. McMeekin are so amazing and extensive that a reviewer is seriously challenged in finding a place to start unraveling Munzenberg’s dizzying life." "An interesting political biography and an important contribution to our understanding of international communism and one of its most charismatic figures." "A meticulous account. . . . Fluently written and unafraid of making judgements: its careful marshalling of evidence from multiple sources is impressive, and helps us understand a complex, picaresque tale that has in places the pace of an espionage thriller." "With Sean McMeekin’s well-written, extremely well-researched and heavily footnoted volume, an important chapter in Soviet history has been illuminated. . . . The Red Millionaire is one book that would be of interest to any reader seeking to understand the tragedy that befell us in Sept. 1939. . . . McMeekin’s book is an important history of how intellectuals who were willingly harnessed to a propaganda genius contributed to the rise of two totalitarian states and the bloody aftermath." "Meticulously researched and stylishly written."